The Emmys are coming! You can see our full Emmy Predictions by category here, and expect updates within the next week including writing, directing, mini-series, and TV movie categories. Each of these three shows are going to be showing up in multiple categories when the nominations are announced. We’ve taken a closer look into the categories they may stand-out in and their chances against each other. So let’s talk a little bit about these shows. “Breaking Bad” only ended a little over a year ago, and already people say it is one of the best television dramas in history. 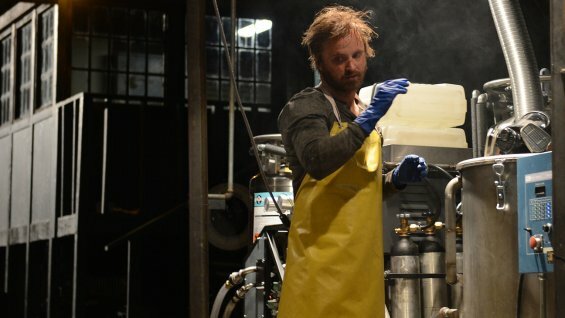 Usually a show runs into some difficulties in its final episodes justifying hours upon hours of content, but “Breaking Bad” had a conclusion with very little backlash. The home stretch of the final eight episodes challenged the cast and crew to bring this dark thrill ride to a satisfying ending, and they accepted the challenge and surpassed expectations. A big moment was season 5, episode 18 “Ozymandias” directed by Rian Johnson. Many consider this to be one of the greatest episodes of the entire series. 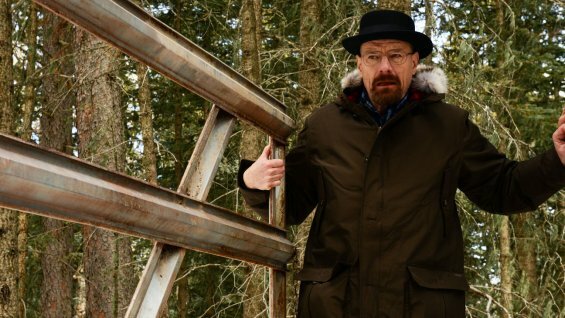 Through its 6 year, 5 season run, we as an audience were seated front and center watching and waiting for the inevitable train wreck of Walter White, and “Ozymandias” was the collision. We could potentially see multiple nominations for “Breaking Bad” in writing and directing, not to mention showing up in technical categories for cinematography, editing, music, sound and others. What it Will Win: Best Television Series – Drama, Best Directing (likely for Rian Johnson for “Ozymandias”) , Best Writing (likely for “Felina” or “Ozymandias”), Best Supporting Actress in a Television Series – Drama (Anna Gunn), Technical Awards for Editing and maybe Original Music. What it Won’t Win: Best Lead Actor in a Television Series – Drama (Bryan Cranston will lose to Matthew McConaughey), Best Supporting Actor in a Television Series – Drama (Aaron Paul and Dean Norris will lose to Peter Dinklage), Cinematography (This is close, but may lose to Game of Thrones), any other technical categories. “Game of Thrones” keeps delivering. For some the HBO fantasy hasn’t quite struck gold yet, but the common consensus is that it’s a pretty damn good show. By ‘pretty’ we mean ‘really pretty’, because the production quality of “Game of Thrones” continues to demolish the boundaries and limitations of the average television-series budget. Even if “Breaking Bad” and “True Detective” get nominees for their technical quality (which they may very well get), their trophies can easily be stolen from them in a heartbeat. 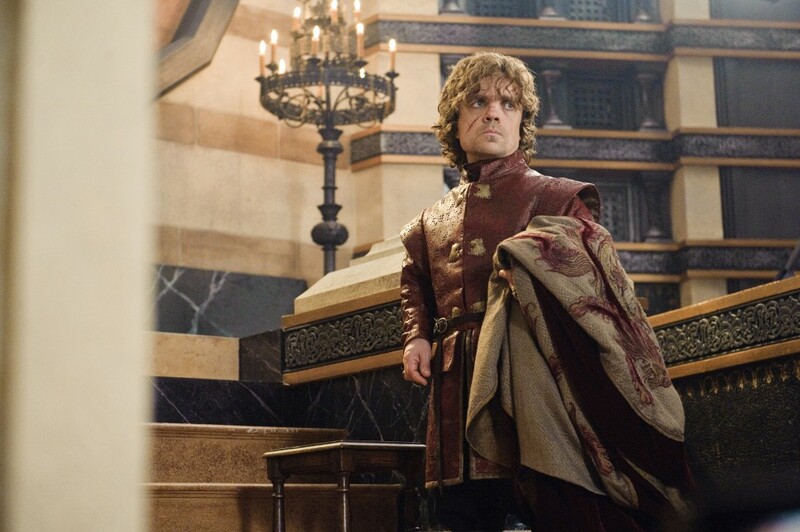 One thing that became clear this season of “Game of Thrones” was that the previous nominations for Peter Dinklage as a supporting actor weren’t a fluke. He is pitch perfect here, carrying, not just moments, but entire episodes on his back. It’s not much of a stretch to say that he may be one of the best working actors in television today. Where Aaron Paul had previously been a shoe-in for the win in the supporting actor category, he now has a formidable opponent in Dinklage. While the writing and directing still demand a strong presence in “Game of Thrones,” and it can easily score nominations in both categories, it will primarily excel in technical categories and possible grab a 4th nomination and 2nd win for Peter Dinklage, a nomination for Emilia Clarke as Daenerys in supporting actress, and of course a nomination for best dramatic series. “True Detective: may be the most divisive of the three. Scoring a 87 on Metacritic, some critics weren’t so eager to praise the grim detective drama. Still, it is considered one of the best television shows of 2014, not everyone fell head-over-heels for this paradoxical HBO show. One thing that really stood out in “True Detective’s 8 episode run was the writing. Yes and the acting from McConaughey, Harrelson, and Monaghan that goes without saying, but the writing delivered a cohesive narrative and organic dialogue that allowed “True Detective” to naturally develop as a buddy-cop mystery where both Detective’s Rust and Marty clicked even when they hardly ever saw eye-to-eye. “True Detective” could easily show up in several technical categories including editing, cinematography, sound, music, and even production design. But it will be strongest in the acting department and the writing department. What It Won’t Win: It’ll be an uphill battle for this show in any other category. Writing is strong, but probably not enough to edge out “Breaking Bad.” Best Lead Actor in a Television Series – Drama (Woody Harrelson will lose out to his co-star), Best Supporting Actress in a Television Series – Drama (Michelle Monaghan will lose to Anna Gunn), Directing (may get a nomination for either the finale or episode 4). Forget the entire series and focus on “Breaking Bad” season 5.5 (the last 8 episodes), “True Detective” season 1, and “Game of Thrones” season 4. Everyone will have a different choice personally for their favorites, but then consider the industry voters. This is “Breaking Bad’s” last chance to be rewarded, it may not be the freshest show on everyone’s mind, but poor timing may not be enough to take it down. “True Detective” has proven to be a great, well-rounded show with a dedicated above-the-line crew behind it for the future, and “Game of Thrones” will have plenty of other opportunities. 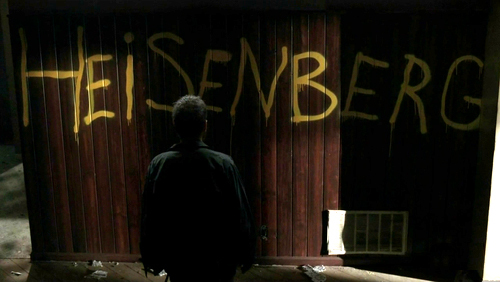 “Breaking Bad” will get it this time, but it won’t be a landslide. With McConaughey out to steal Cranston’s trophy and Dinklage out to steal Paul’s trophy, or so we predict. In the end all the shows will get the gold statues they deserve, whether it’s this upcoming ceremony or some time in the not-so-distant future.